In a field filled with fluctuating regulatory developments, Sean prides himself in distilling complex information into plain, digestible language for clients industrywide, resulting in sound, strategic decisions. In fact, Sean has always appreciated the power of effective communication having served as a sports journalist prior to law school. Sean’s current practice relies on the same skills he utilized as a contributor for ESPN and NFL beat writer in New York City. Investigating the facts, asking the right questions and attention to detail prove imperative in an ever-evolving healthcare landscape. He enjoys the challenge of staying on top of the latest healthcare regulations and rulings, tracking trends just like a news cycle. 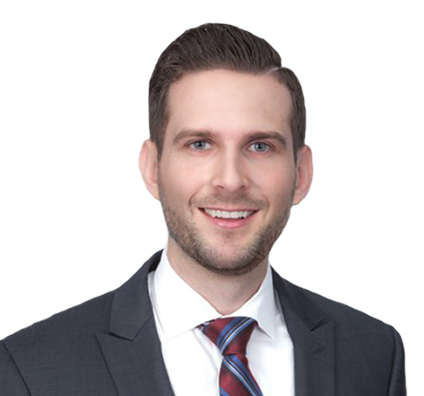 Sean’s practice focuses on healthcare regulatory and compliance issues, including fraud and abuse (Stark Law and Anti-Kickback Statute), government investigations, privacy and data security, operations, licensing, corporate governance, and Medicare/Medicaid reimbursement, among others. He counsels clients industrywide, including hospitals and healthcare systems, physician groups and providers, pharmacies, and pharmaceutical and medical device manufacturers. He regularly assists clients in structuring and analyzing arrangements and transactions, such as joint ventures and mergers and acquisitions, to reduce risk under fraud and abuse laws. Additionally, Sean is an experienced litigator and appellate advocate, spending several years early in his career routinely defending healthcare providers against complex claims in state and federal courts, as well as in front of state licensing boards where he negotiated favorable settlements with the State Attorney General’s Office. Such experience proves vital in defending qui tam and False Claims Act cases and related civil and administrative enforcement actions. Further, Sean’s litigation background arms him with foresight and understanding of unintended consequences in conducting transactions. As a former sports journalist, Sean is, of course, an avid sports fan, forever tortured by his hometown Buffalo Bills. He regularly takes advantage of Arizona’s infinite golf courses, and even hits a fairway now and again.